The scheme of four sustainable bungalows was also awarded the Most Considerate Site in the UK to take top spot in the £500,000 or less category for the most considerate site, making it the best in the UK within its value band. The project was awarded 45/50 the highest score Woodhead has received in its 70 year history. Denton Green is part of the Building a Better Nottingham programme, which will see more than 450 new homes built on sites across Nottingham. 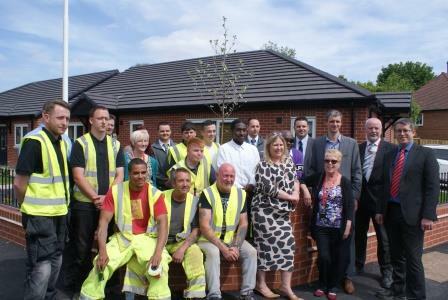 Each of the bungalows in the scheme have now been let to Nottingham residents requiring level access living accommodation.